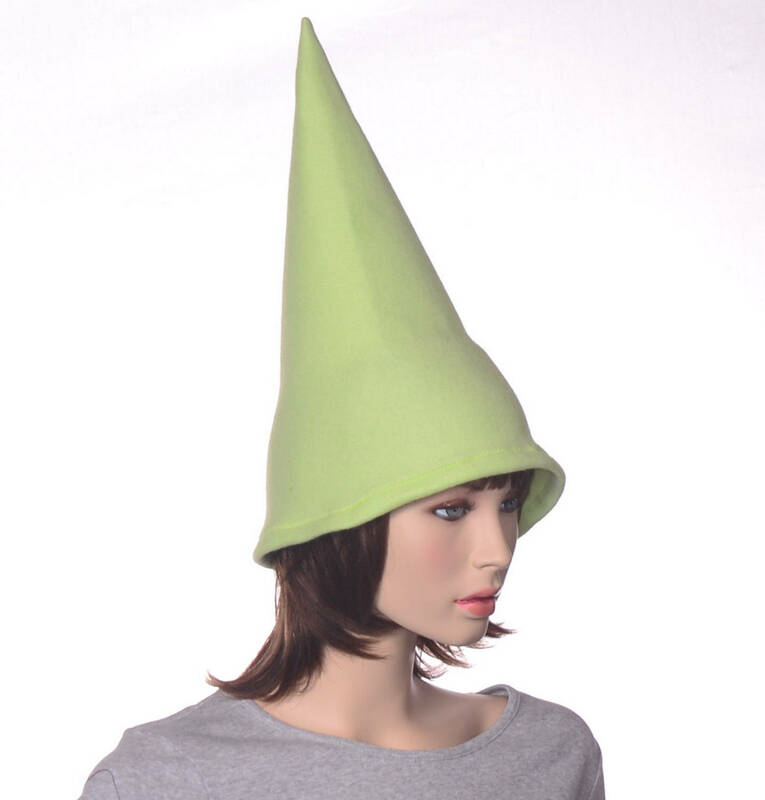 Light green gnome hat. 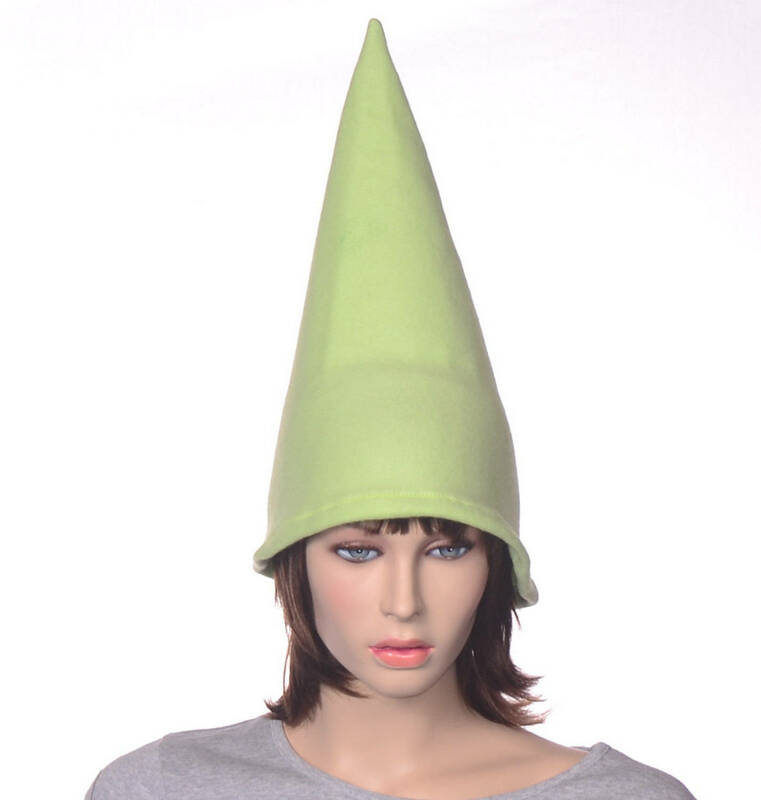 Top portion of hat reinforced with heavy interfacing to make the point stand. Bottom portion left unlined for comfort and for stretch for hat fit. 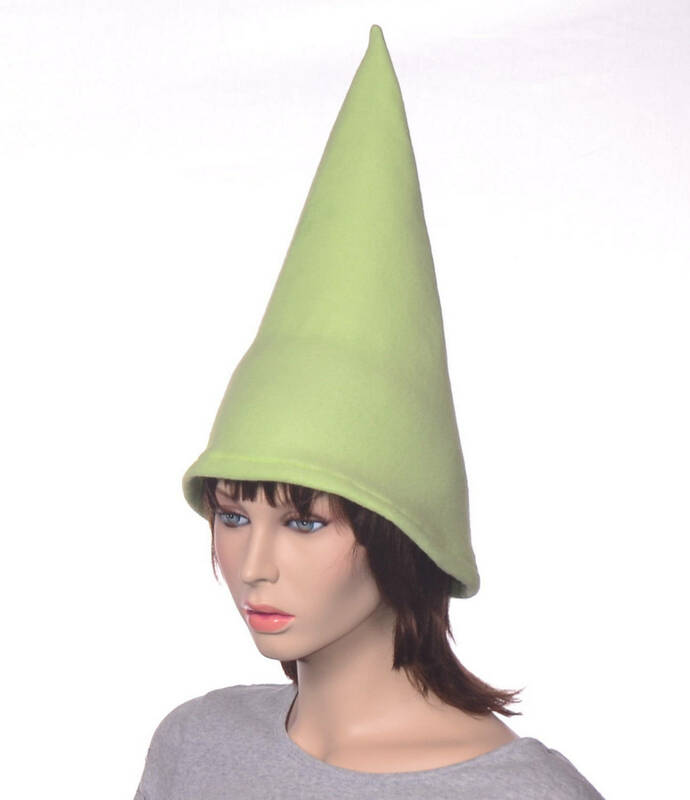 Hat is made from soft fleece.